If you want children to thrive in child care settings, then it makes sense to intentionally build positive relationships with the adults who play the largest roles in the children's daily lives: their parents. Good communication is essential for building those relationships, but good communication doesn’t just happen. As child care professionals, you must be reflective and intentional about achieving effective parent-provider relationships through good communication. If you are an early child care provider who works in nursery, preschool or daycare facility and you want to build the bridge of good communication with the youngsters’ parents, then you’ve came to the right place. Today we have an app especially built for you, a secure and reliable platform for better management and communication, an amazing app called mytoddlr. It is an Android education tool that requires Android 4.0.3 and up, it is compatible with both phones and tablets and designed with friendly user interface. 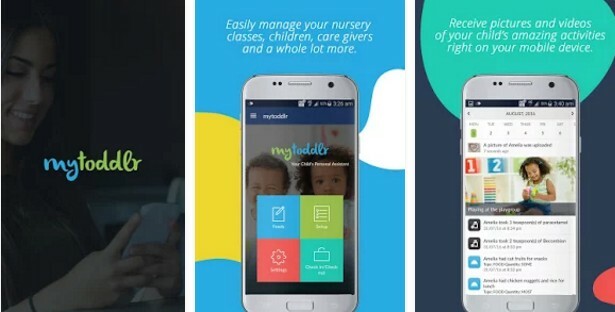 The answer is simple – it combines features and functions for managing the nursery and communicating with parents. It helps child care providers to focus more on every child’s well being and development, save money and spend less time on doing paperwork. You can forget about spending money on printing and buying ineffective paper daily dairies, spending hours on sending out emails and paying for expensive software. The mytoddlr does all the hard work for you by offering an easy to use, all-in-one collaboration and communication platform. Plus, it is completely free! You can get it from the following Google Play link.